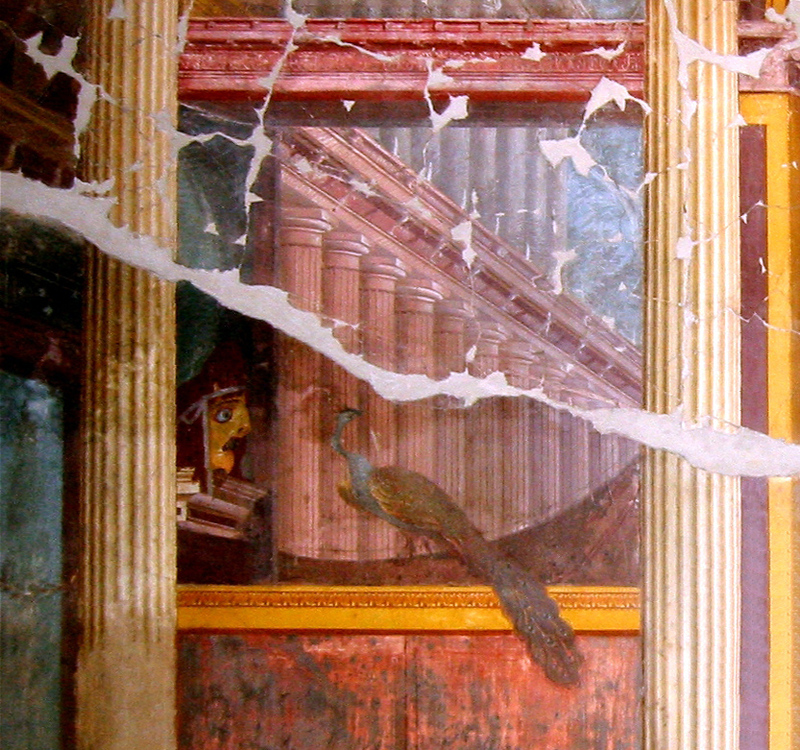 The German archaeologist August Mau was the first scholar to classify the Pompeian painting in four styles. 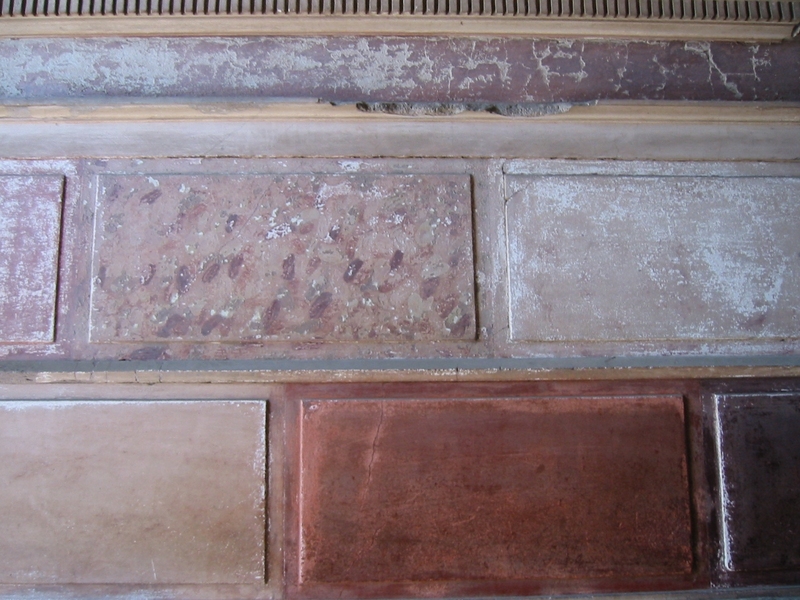 The first style, called structural style, referring to the period from the third to the first century BC, was an imitation stucco, often in relief. 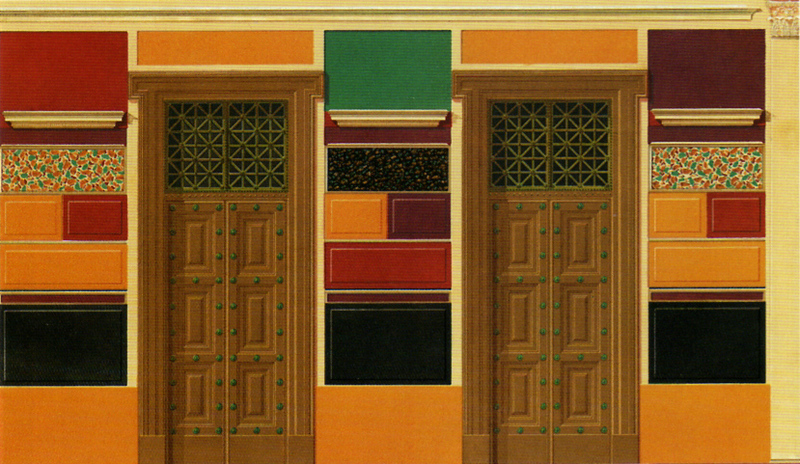 Significant examples of this style can be found in the House of the Faun in Pompeii and House Sannitica in Herculaneum. The second style, described in detail by Vitruvius, called architectural style, was introduced in the first century BC, it reworked some element of the previous style. Inspired by the scene of the Hellenistic-Roman theater of shows structures and columns, floral elements and animals and illusionistic realism. Examples II style are in the triclinium of the Villa Oplontis, in the Villa of the Mysteries, and the frescoes from the Villa Boscoreale, now preserved at Metropolitan Museum of New York and at the Archaeological Museum of Naples. The third style, called Pompeian style or ornamental, is caratherized by optical illusion, replaced by solid funds, usually in black, red or white, with a central miniaturistic paintings with mythological episode. Some of the finest examples of the third style can be admired in the House of the Vetti and the House of Lucretius Fronto. The fourth style, called fantastic style, shows scenes of heroic-mythological and allegorical figures, painted in warm colors and depicting accessory elements in yellow gold. 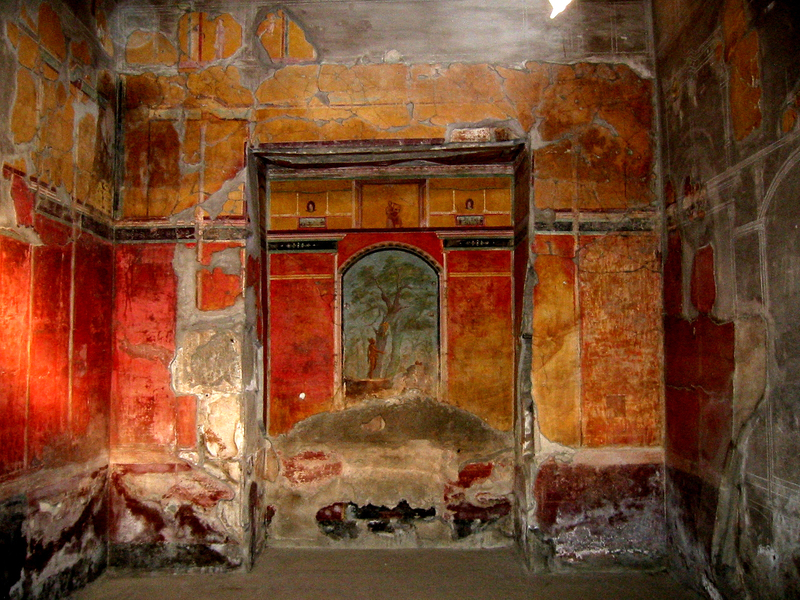 Many houses were redecorated after the violent earthquake of 62 AD. 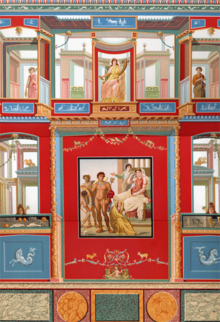 The House of the Tragic Poet, one of the Vetti and the Menander in Pompeii, the Shrine of the Augustals and the Casa dei Cervi at Herculaneum have some of the finest examples of decorations in the fourth style.